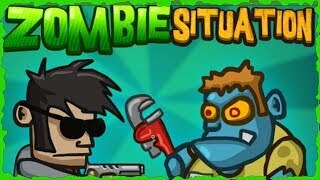 Click on the Play Button and 'Zombie Situation' will start after this message... Thanks for waiting! A large number of zombies have escaped from a lab. Defeat them all before it's too late! As you make progress, you'll find new weapons that will help you. A horde of hungry zombies is trying to catch you. Gather as much as you can to purchase new weapons in the shop. And why not have a shot of tequila! 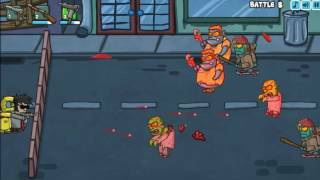 Protect the school bus against the zombie attack crush them while you try to escape this town. Once you beat a level you'll be able to purchase new weapons. 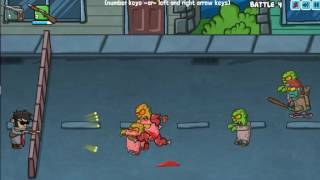 Become a zombie and defend yourself in this turn-based fighting game. Earn experience in each combat and purchase new weapons. Be the most feared! The adventure goes on! 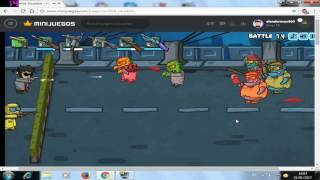 Defend your base, kill zombies, complete missions and get new weapons. Due to a scientific experiment, half the world's population has been infected and turned into zombies. You're the chosen one to get rid of them because no sniper can beat you! Your city is under attack! A plague of green zombies is all over the town. Your wife just went out, so there's only one thing you can do: grab some weapons and go save her. Remember to upgrade your weapons with the money you find so you can stand a chance.